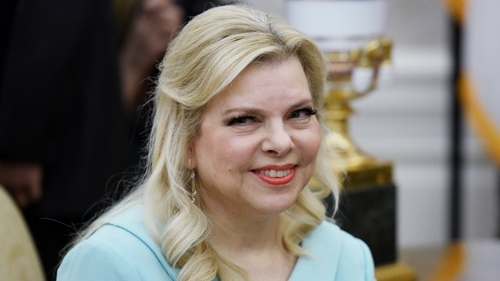 Israeli Prime Minister Benjamin Netanyahu's wife Sara has been charged with fraud and breach of trust following a long police investigation into allegations she falsified household expenses, the justice ministry said. "The Jerusalem district prosecutor a short time ago filed charges against the prime minister's wife," the ministry said. The allegations announced last year are that she and an aide falsely declared there were no cooks available at the prime minister's official residence and ordered from outside caterers at public expense. The cost amounted to "over 350,000 shekels (over €83,000)", the justice ministry said. Her husband is himself under investigation on suspicion of corruption offences. In one case, he and family members are suspected of receiving one million shekels (€240,000) worth of luxury cigars, champagne and jewellery from wealthy personalities in exchange for financial or personal favours. Mr Netanyahu has protested his innocence and vowed to remain in power, saying he is the victim of a "witch-hunt".